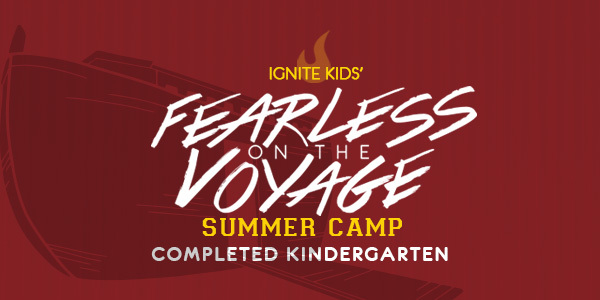 If you’re up for anything with God, and are a completed kindergartner, then FEARLESS SUMMER CAMP is just for you! Join us July 8-12 from 9am-Noon for a grand week of adventure. The cost is $18 for the whole week of activities, crafts & snacks, as well as the choice to learn a dance and perform it Friday night, pick creative arts and display your work or select Legos and be challenged through fun learning activities. Rush into exciting activities like dance, creative arts, or Lego challenges. Replenish yourself with yummy snacks. Refresh in Bible lessons and small group time. Renew your creativity through special crafts.